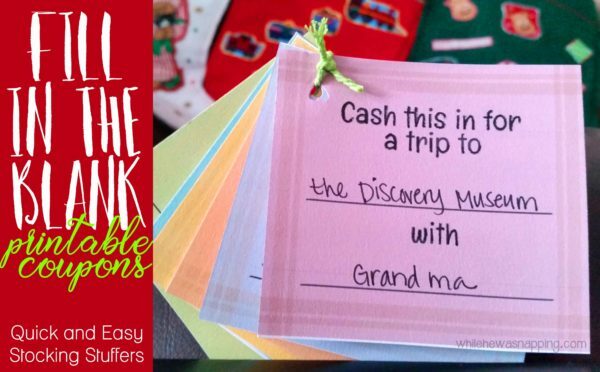 This is a last minute stocking stuffer I’m giving to my kiddos and it’s so easy, I figured I’d share it with you too. These fill in the blank printable coupons are super versatile and you can use them for more than just your kids. Use them for your sweetie too. Because they are fill in the blank, they work for everyone. 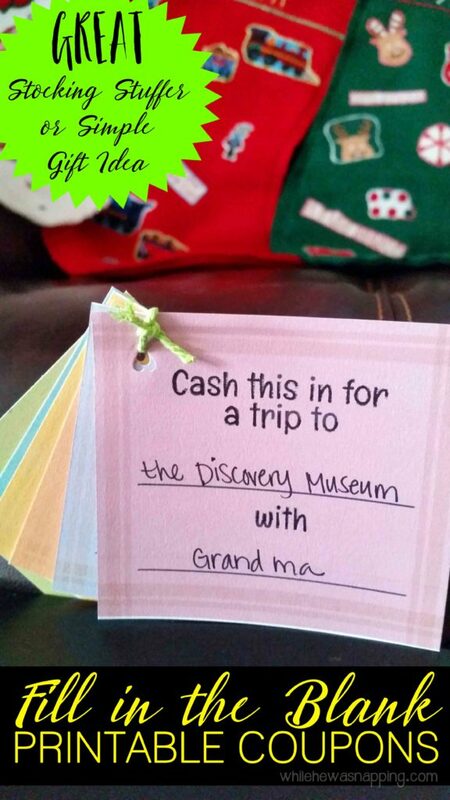 It’s an easy gift that will keep on giving through the year. – Print out the high resolution Fill in the Blank Coupons. Click the link or the image to download the high resolution file. – Use the pen, markers or pencils to fill out the coupons however you want. – Cut the coupons apart with the scissors or paper cutter. – Punch a hole or two in each coupon, string the coupons together on the string or yarn and tie them together. Alternatively, you could staple the coupons together or put them in an envelop. Whatever method you want to use to keep all the coupons together. You can also embellish the coupons more if you want. – Gift your coupons to your lucky recipient and enjoy some fun moments and memories for the next year. I purposely didn’t put an expiration date on mine, but you can write one in if you’d like. That’s it. Super simple, right? And it’s free! I know I definitely don’t need to spend any more money on Christmas, but this is still a meaningful gift. 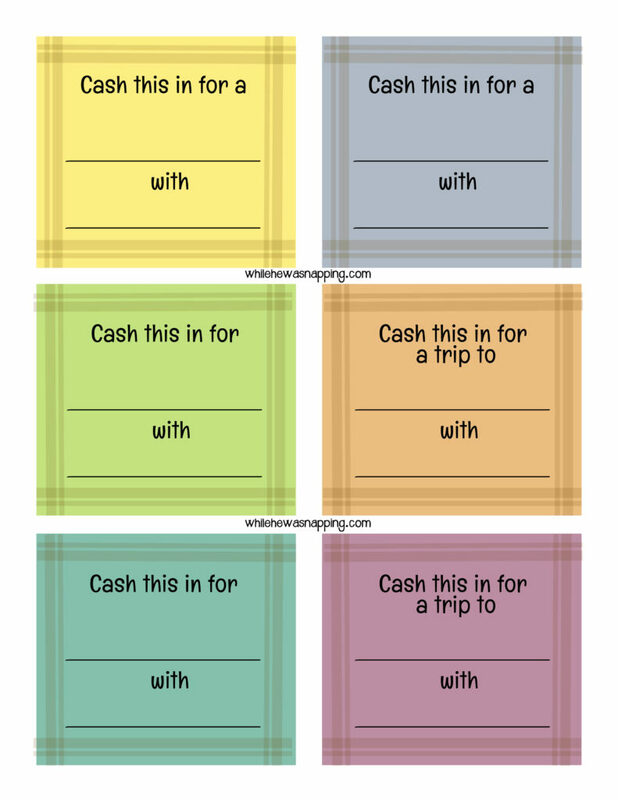 And I love that I was able to make one for each of my kiddos (well… the older two) and my husband without having to spend a lot of time create extra templates and doing redesigns.